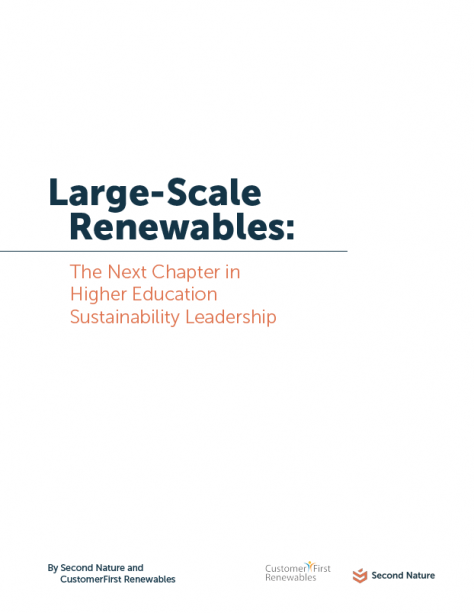 Higher education is uniquely positioned to both expand and benefit from climate leadership. Many universities and colleges have substantially stepped up their commitments and efforts to reduce greenhouse gases (GHG). 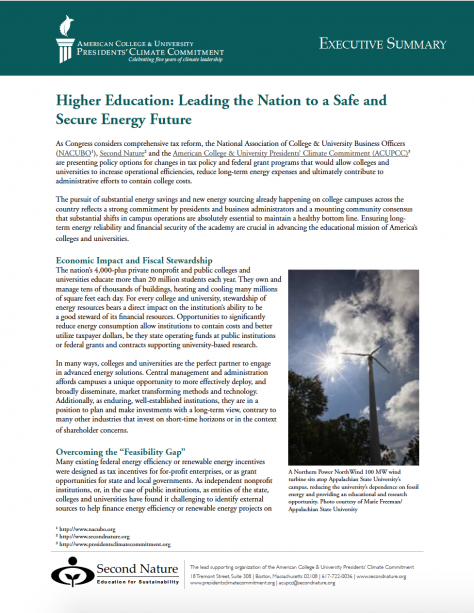 However, the ‘climate gap’ toward reaching these commitments is widening, as campuses become more technology and electricity intensive.Large-scale renewable energy (LSRE) provides higher education with an attractive solution to close this gap and show climate leadership, while reducing long-term electricity cost and managing risk. 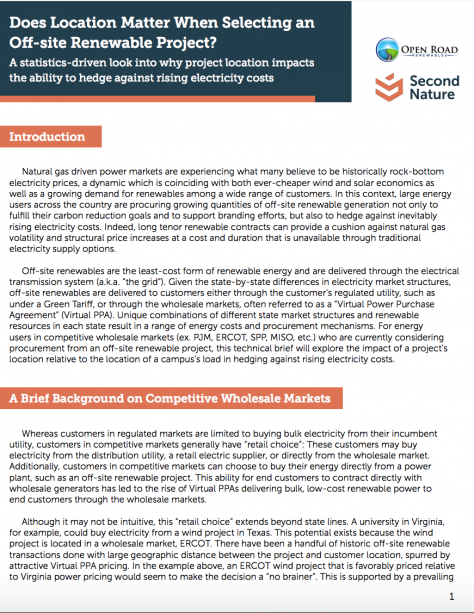 This white paper, created in partnership with CustomerFirst Renewables, walks through the opportunities and challenges of LSRE projects, how to set them up, and firsts steps. 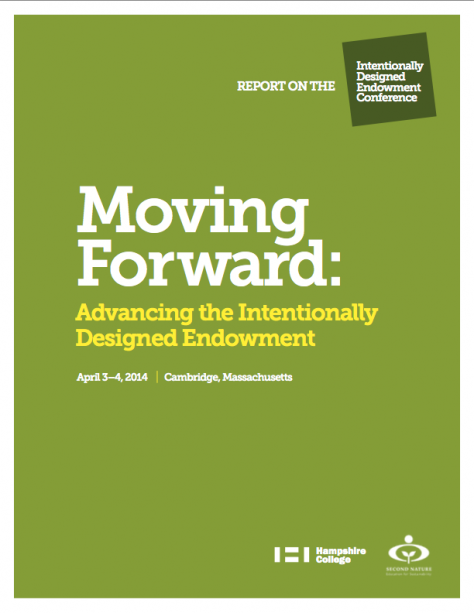 On April 3-4, 2014, Second Nature and Hampshire College convened a group of high-level stakeholders to explore a wide variety of approaches to aligning higher education and foundation endowment investment portfolios with their institutional mission and environmental, social, and governance (ESG) goals. Download. 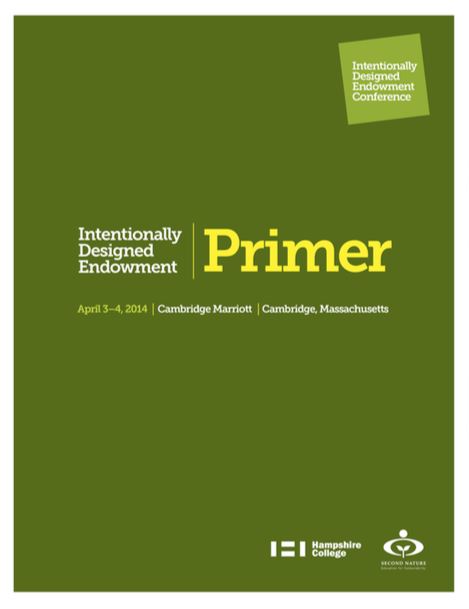 Associated with a conference exploring what it means for colleges and universities to invest intentionally, we developed a primer for participants to establish a baseline understanding of key issues related to aligning investment practices with institutional values. It provides a high-level overview of sustainability investing, including a brief history, and a select list of key resources and relevant organizations. Download.